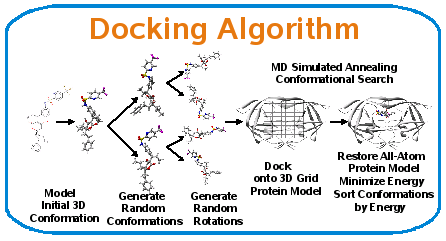 Docking is a molecular modeling method which predicts the preferred orientation of one molecule binding to another. Knowing the preferred orientation of these two molecules allows scientists to also predict how tightly they will bind. 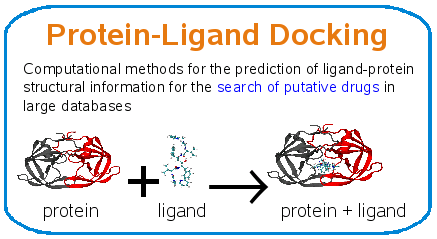 We perform docking simulations on small molecule drug candidates, which we call ligand s, and their target proteins inside the human body in order to predict how affective the ligand might be in a drug. After the docking simulation, well-docked protein-ligand complexes are produced in experimental laboratories for testing. 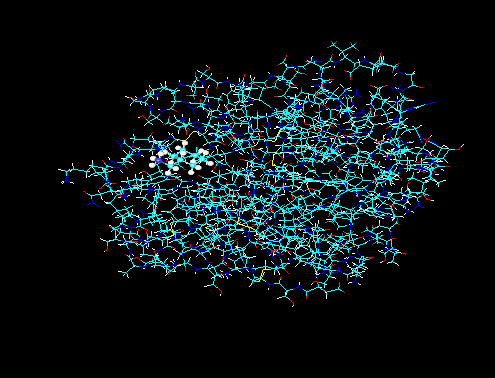 Click on the image for a 3D representation of the ligand. Note : These are 2MB+, so they make take a few seconds to load.